Come see vendors wares from all walks of life. 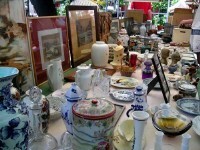 Antiques, collectibles, beauty products, crafts, rummage, and more. Vendors welcome. If you want to sell it, become a vendor. Please visit www.fonddulaclions.org for more information.